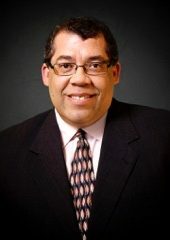 Paul D. Williams, Vice Chair, Minnesota Ballpark Authority: President and CEO of Project for Pride in Living. Paul leads the nonprofit organization’s efforts in affordable housing, employment training, support services, and educations. Prior to PPL, Paul served as the City of St. Paul’s Deputy Mayor, overseeing the City’s day to day operations, as Executive Director of Twins Cities LISC (Local Initiatives Support Corporation) and nationally as LISC’s Senior Vice President. He spent a decade in philanthropy, serving as a grant maker with the Minneapolis and St. Paul Community Foundations as well as Vice President of Allocations for the United Way of the St. Paul area. Appointed to the Minnesota Ballpark Authority by Governor Mark Dayton in 2011.